Note: Post updated January 2018. A huge portion of the population now own and regularly use either a Smartphone or Tablet for their day to day activities. The electronic keyboard supplied with those devices can take up valuable screen real estate making it difficult to type for long periods of time. For my general day to day activity, I use the SwiftKey app for Android when typing. It is super fast, intuitive and easy to use. Plus it has a lot of customisation for you to play with! However, there are times when I am working that I prefer to use an actual keyboard. 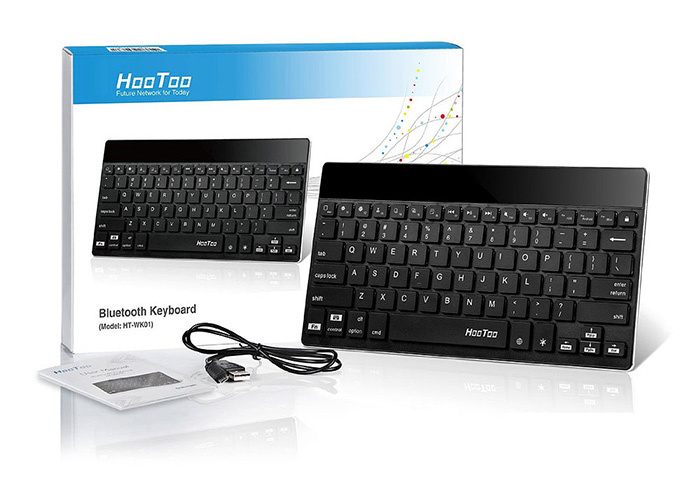 So, when I was sent the Hoo Too Bluetooth keyboard above, I was keen to check it out. Can't wait or be bothered? Buy it (or similar) from Amazon UK or Amazon USA now!